High school investigatory projects enable students to choose topics of interest and conduct research. These kinds of projects aid students in expanding their knowledge of science, technology, mathematics, engineering and everyday life. Students use research, planning, strategy, gathering of information, organization, analysis and discussion to tackle hypothetical scenarios and real-world problems. This gives students valuable skills to aid them in college and future employment. High school investigatory projects allow students to engage with both real-world and hypothetical situations to develop skills to aid them in future study. Students learn to research, test hypotheses, and analyze their results. Rich topics for exploration include earth science projects, environmental and renewable energy, astronomy and astrophysics, electronics and researching everyday surroundings and scenarios. Studying both geology and geography gives insight into a person's place on Earth and how the dynamic nature of Earth affects life. A wealth of geological and geographical data exists that students can explore. For geology, students can investigate earthquakes and tsunamis. Project ideas for earthquake study might include researching earthquake prediction possibilities and their efficacy by coming up with a novel idea for prediction. Another example would be to investigate which locations around the world are most prone to earthquakes, and what problems might arise for infrastructure. Students could test building safety by designing their own structures and subjecting them to artificial earthquakes and analyzing which structures better withstood the simulated earthquake. Another structural test entails modeling structures out of different materials and testing for resilience. Another possible project includes studying the connection between earthquakes and tsunamis, tracking areas of the world at greatest risk for tsunamis and making suggestions for novel approaches to tsunami alerts. Students could demonstrate plate tectonics with a model to see how the Earth has changed over time, and predict possible future landmass movement. For volcanoes, students could build a model of a volcano and demonstrate different types of eruptions and their effects. For example, students could create an artificial lahar -- volcanic and mud debris flow -- and how it affects areas downstream. In geographical projects, students can use maps and photographs to track climate changes in specific geological regions over time. Students can obtain historical photographs and maps from government agencies and compare them to modern day images. If students live near national parks impacted by glacial decline, they could even arrange visiting exact locations in historical photos and take new photos of their own to compare the effects of glaciers. These projects not only allow students to ask questions and investigate changes, they benefit scientists with the data they collect. Students can also learn about how explorers such as Lewis and Clark made their own maps prior to the satellite era. Or perhaps students could use mapping to determine the best location for a new park in their city. By learning about the world around them and how it changes, students can better understand their own place and how interconnected they are where they live. Many projects encourage students to learn more about environmental science and renewable energy. Students can study water by building water cycle models and exploring where local water sources arise. Students can come up with new ways to achieve accessible clean water in developing countries. Or perhaps students can explore how, and which diseases spread by water. Students can track climate changes by researching alterations in animal migrations or in sea-level changes. Students can investigate ideas for global food security and improvements to nutrition, such as finding more environmentally friendly farming methods and underused, nutrient-rich plant species. Students could identify beneficial microbes that aid seed germination rates. For a hands-on investigation into renewable energy, students could build a bicycle generator to explore how alternative power sources could power homes and devices. To research biofuels -- fuels made from living organisms such as plants -- students could determine which plants have the greatest amount of heat energy and how to make those plants thrive. 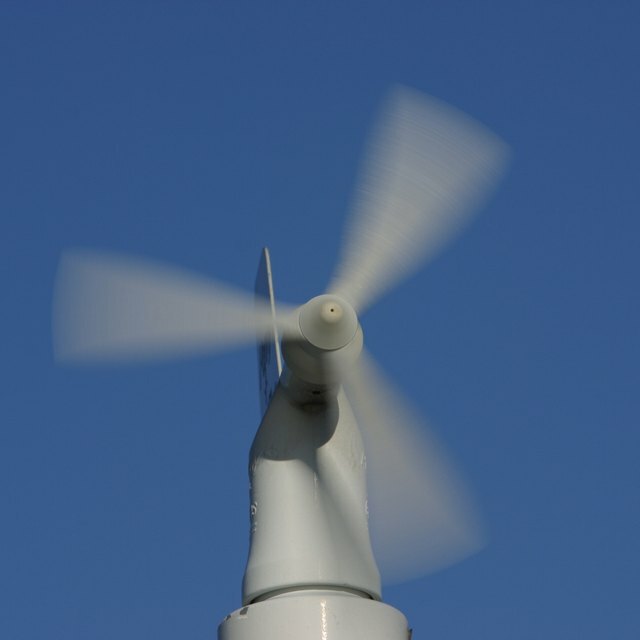 Hobby shop propellers help students to explore how wind propellers affect electricity production. Students can demonstrate how to concentrate solar energy with a parabolic reflector. All these projects give students the opportunity to think about ways to help the environment and to become more efficient in energy use. For space science enthusiasts, students can design projects to demonstrate physics or to study the stellar neighborhood. Students can test Albert Einstein’s theory of relativity by using fabric, fruit, and marbles to simulate gravity and its curvature in space-time. Night sky enthusiasts can investigate the behavior of stars and help track them in a database. Students can also study changes in night sky viewing based on light pollution where they live, and how to tackle this growing problem. These projects engage students in learning more about the universe and their interaction with it. Electronics projects allow students the ability to build operable devices. Students can demonstrate how doorbells and pinball machines work by building a small electromagnetic suction device. Students can “listen” to light by making a modulated LED system to transmit audio signals from a radio to an LED, emulating the operating principles behind fiber-optic cables. Students could also build a small drone robot with infrared sensors to detect objects in its surroundings. Working with electronics provides hands-on research and encourages students to try different approaches to real-world devices and technology. Project ideas for student investigation abound in everyday life. Students could investigate patterns in dreams by testing a large sample of fellow students or family members and tracking their dreams over a specific period. They can categorize dream types, then compare and analyze them between different age groups, genders or other qualifiers. Students in snowy areas can research the best salt-and-water mixtures to melt ice on their driveway or sidewalk. Citizen science opportunities such as listening to and tracking frog calls, taking photos of clouds and comparing them to satellite images, and reporting felt earthquakes among a network of friends are just some examples for sources of investigation in everyday life. Dianne, J.. "High School Investigatory Projects." Sciencing, https://sciencing.com/high-school-investigatory-projects-6122870.html. 13 April 2018.